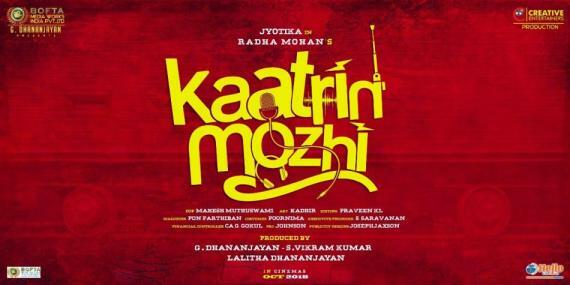 Director Radha Mohan and Jyothika teaming up for their Kaatrin Mozhi kick-started production on June 4 under Dhananjayan Govind’s production banner, which will feature music by A. R. Rahman’s nephew, A.H.Kaashif. A remake of the hit Bollywood film, Tumhari Sulu, Jyothika is reprising Vidya Balan’s role for the Tamil remake with the Naachiyaar actress wrapping up her portions at breakneck speed on July 25 at one single stretch without any breaks in between. 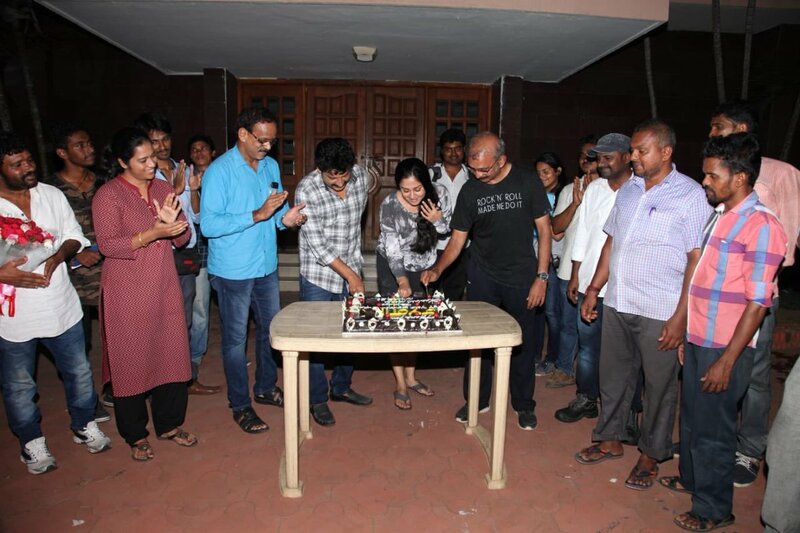 A cake cutting ceremony had taken place on July 25 which saw Jyothika present silk sarees and silk (dhothi) veshtis and shirts to all the crew members as well as a special gift to all the assistant directors who worked in the film. As of now, only a few more days of shoot with other artistes remain in Kaatrin Mozhi remain which shall be completed in a few days followed by dubbing expected to begin on August 6 after which post-production works will be carried out in full swing for an October 18 theatrical release plan. 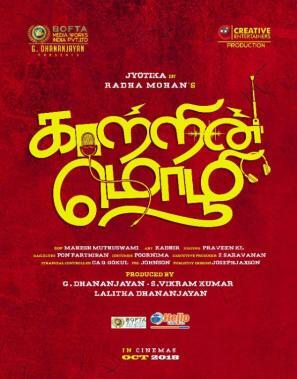 Kaatrin Mozhi includes a talented cast featuring the likes of Vidhaarth, Lakshmi Manchu, M. S. Bhaskar among others and will be Jyothika’s third film of 2018 after Naachiyaar and the upcoming Mani Ratnam multi-starrer, Chekka Chivantha Vaanam.